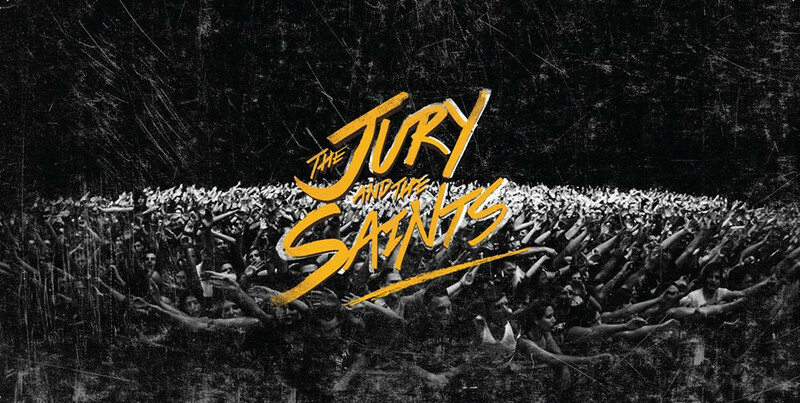 The Jury & The Saints have been busy the last few years. Since forming in 2009 they’ve toured with Paramore, made a couple of EPs and an album, signed with German label SPV, and just recently they put out their second full-length release, which they recorded in Germany with rock producer Alex Lysjakow. I sat down with singer Jesse Smith and guitarist Rowan Crowe to drink watered down coffee and talk about life as international musicians. The band recently toured in Germany, before recording an album in Germany, for the label they’re signed to in Germany. I had to ask: what’s up with these guys and Germany? The band didn’t know Lysjakow before they recorded with him, and it was the label’s suggestion that they work together. “But we were psyched with what he did,” Jesse tells me. “He produces a lot of rock,” says Rowan, “and coming from a punk background I think he gets it more. It needs to capture that energy, that essence of what it is, or else it’s …” he gives an exaggerated shrug. And while their tastes these days include bands like Brand New and Balance and Composure, one of the big names that comes up as an influence is Blink-182. Straightforward enough. But the tone seems like it’s threatening to get to deep, so we go back to joking about watery coffee and sausage throwing, and not too long after that Jesse and Rowan have to go back to work.